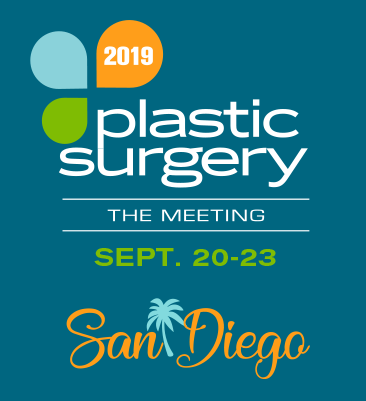 The American Society of Plastic Surgeons (ASPS), The Plastic Surgery Foundation (The PSF) and the American Society of Maxillofacial Surgeons (ASMS) are pleased to welcome the media to Plastic Surgery The Meeting. Below are guidelines for use of the ASPS/The PSF Press Room by media representatives. Media credentials are available to working journalists whose attendance at the meeting may result in print, broadcast or online coverage of the ASPS, The PSF or ASMS and its individual members. Media is defined as those whose sole professional focus is working for a news media organization to report and publish news articles. Passes will only be provided to credentialed media on assignment to cover plastic surgery. To obtain media credentials, identification certifying that you are a working member of the news media on assignment to cover the meeting is required. Business cards from established news organizations are sufficient to establish eligibility. ASPS does not issue media credentials to the following: a publication's advertising, marketing, public relations or sales representatives; publishers, editors or reporters from manufacturers; "house organs" or promotional publications; public relations staff of exhibitors or educational institutions; writers creating analyses or reports sold as a commodity to customers; or other individuals who are not actually reporting on the meeting. Working media representatives may not register as exhibitors. Guests of credentialed media will not be given media passes. We will not grant media credentials to anyone with any business interest in any capacity (physician, staff, consultant, public relations/marketing/sales rep., contract or volunteer) for any company or organization that provides or markets services or products to the existing or prospective plastic surgery community. The ASPS reserves the right to deny press credentials to anyone at anytime. Journalists interested in attending Plastic Surgery The Meeting can preregister by filling out the PSTM Media Registration Form. Preregistered journalists will need to obtain their press credentials on site in the Press Room immediately upon arrival. Some scientific papers may not be available to the media; please check with ASPS/The PSF media relations staff in the Press Room. Journalists who want to use slides, graphs or other visuals to illustrate coverage must have the presenter's permission. ASPS/The PSF media relations staff will assist in obtaining permission. Each presenter has been notified that publication or broadcast of illustrations, tables or other portions of his or her work, except the abstract, may adversely affect eligibility for publication in peer-reviewed journals. Journalists may attend individual instructional courses only with the prior permission of the ASPS/The PSF/ASMS staff. Some instructional courses may not be available to media. Permission forms will be available in the Press Room. ASPS is accredited by the Accreditation Council for Continuing Medical Education to sponsor continuing medical education for physicians. The Society sponsors this annual scientific assembly and, as an accredited sponsor, designates this educational activity for CME credit. Because ASPS/The PSF/ASMS sponsor this assembly, and because the ability to offer CME credit for an educational activity rests on integral participation in the planning, implementation and evaluation of that activity, only the ASPS/The PSF/ASMS can designate this meeting or any portion of it for CME credit. To retain its status as an accredited sponsor, ASPS cannot and does not designate news or promotional stories issuing from its meeting for CME credit. Presenters' work is not directly tied to a profit-making venture. An example of a potentially profit-making venture would be a patented procedure. Presenters do not utilize paid media relations, marketing or communications professionals at the meeting site. Presenters' media relations activities do not interfere with planned Press Room events and other media relations activities by ASPS/The PSF staff. Presenters inform ASPS/The PSF staff and the Public Education Committee Chair as far in advance as possible of their need to use Press Room facilities and equipment. All final decisions pertaining to member use of the Press Room are reserved for ASPS. Exhibitors may leave press materials on the designated exhibitor table in the Press Room. It is the responsibility of exhibitors to maintain the stock and orderly appearance of exhibitor materials. ASPS does not sanction or endorse individual exhibitors' promotional activities or the information they intend to highlight, sponsor or arrange, either as part of the technical exhibits or at an off-site location. It is the policy of ASPS not to make public the media registrants attending the meeting.